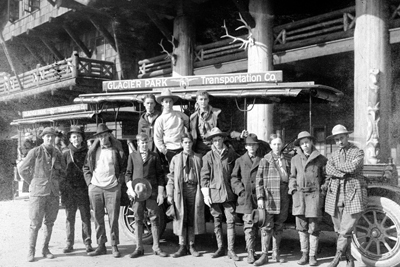 On May 11, 2010, Glacier National Park will mark its 100th anniversary. 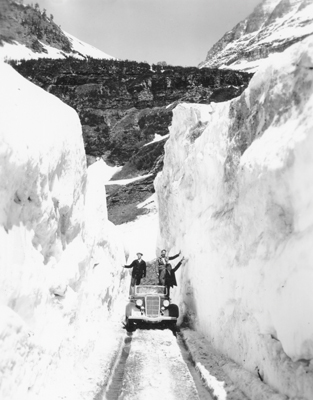 The Glacier Centennial Program and its team of intrepid volunteers have been formed to facilitate this celebration in Glacier’s narrative. The program focuses on the legacy of the park and promotes the centennial as a time to celebrate its storied history, cultivate personal connections and partnerships, and inspire future stewards. More than 100 activities (commemorative events, educational programs, and legacy projects) are taking place during the centennial year to help today’s generation and future generations continue to protect and preserve the park. 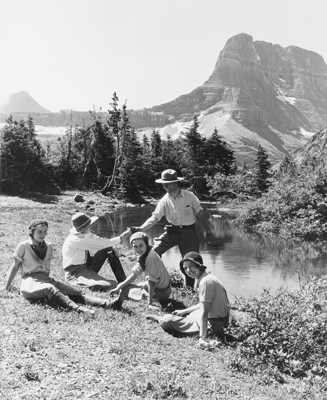 What has Glacier National Park done to be an Environmental Leader? 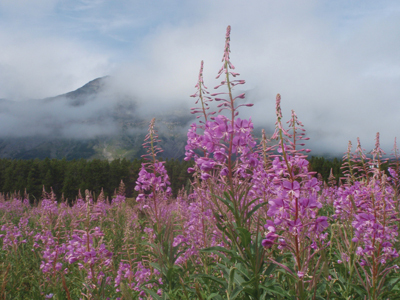 Glacier was designated a Climate Friendly Park in 2003 through the National Park Service Environmental Leadership Program. Through this designation, Glacier is committed to reducing energy use in park operations, increasing energy efficiency, exploring alternative energy options, reducing solid waste, and offering alternative transportation to park visitors. In 2007, Glacier completed the construction of a Gold LEED certified Transit Center in Apgar. The Transit Center was built with recycled material and integrates daylight and shading strategy. The location and size of the windows and shading devices optimize daylight and allow heat gain when it is most needed in winter, while keeping the building shaded and cool during the summer. Envelope insulation, high-performance glazing, and daylight sensitive lighting controls further reduce the building’s energy load. The installation of low flow low flush toilets and low flow sinks has reduced water use by 30%. The building design projected a 38% energy cost savings. In conjunction with the Transit Center opening, the park launched alternative transportation options for park visitors. 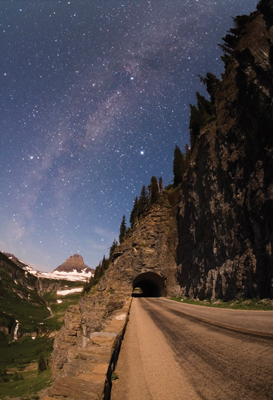 The Going-to-the-Sun Road Shuttle consists of two bus routes, serving Logan Pass. The shuttle bus service resulted in a 20% decrease in road traffic in each of the first two years of operation. In 2009, the park completed a plan for Logan Pass to address restrooms, a transit stop, and energy use. As a result of the planning effort the park will replace the current propane system with a renewable photovoltaic (solar) energy system. Through park publications, interpretive programs, and an web site (www.doyourpartparks.org) the park and their partners are committed to educating the visiting public about what they can do to reduce impacts on climate change, and in turn help preserve our parks for the next generation.